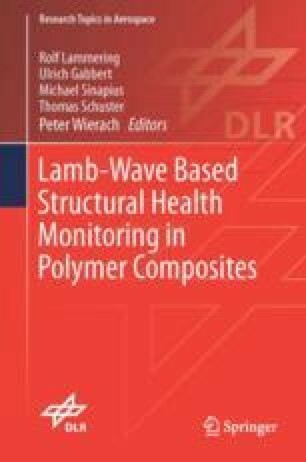 Applying existing methods for damage localization using Lamb waves to complex composite structures requires a method for calculating the time-of-flight in consideration of the properties of the structure. While the time-of-flight can be calculated easily and analytically in flat isotropic structures, a much higher effort is required in complex structures. This section describes the requirements for a time-of-flight calculation and the aspects of the structural complexity to be considered. Based on these aspects different existing methods and their applicability are analysed. A suitable algorithm is derived from these methods and explained in detail. The concept of time-of-flight maps is introduced in order to assign a time-of-flight to each point on the structure, starting from one or multiple sources. The following discussion is not limited to the time-of-flight calculation in complex structures, but of a more general nature. The time-of-flight can also be considered as a cost for traveling between different points. Therefore it will be regarded without units. However, in order to maintain the context of wave propagation, the accumulated cost for traveling across the structure will be denoted the time-of-flight.